Permaculture is a design system which helps integrate people ( their needs, habits, skills, desires, money and time) and place (the physical limits and potential of a site) in ecologically harmonious systems providing a good portion of their needs (water, vegetables, fruit, and eggs). Permaculture systems work more like natural systems such as forests than industrial agriculture, requiring no artificial inputs and producing no waste. The word Permaculture is a shortened version of the term “Permanent Agriculture”. It’s a term first used by Bill Mollison in the early seventies, but David Holgren who was an early student of Bill’s, furthered much of Bill’s teachings into theoretical forms. Both have written many books on the subject. At the time, Bill Mollison was a radical academic in Tasmania. Brilliant and provocative, he had earlier worked as a hunter, trapper, fisherman, glass blower, forestry researcher and much else. Bill describes an ‘ah ha!’ moment when working in the forests, it hit him that natural forests far out-produce human systems with far greater stability and resilience and yet no need for inputs like fertiliser and pesticide. And so we can assume that permaculture was born out of Bills realisation that current industrial agricultural methods are “not-permanent”, or unsustainable. Here’s a great old film of Bill’s called “In grave danger of falling food”. During the film Bill explains how in years to come he expects his food forest garden to be so productive that he will be in grave danger of being struck by falling food! So the foundations of Permaculture are in ethical assumptions which assume that the earth’s resources are finite. From this, Mollison and Holmgren define intuitive principles they believe should guide human behaviour for sustainable outcomes. They suggest that when we observe patterns in nature, we can use nature to our advantage (rather than working against nature and degrading it). If we do this well we will often use similar strategies in design. 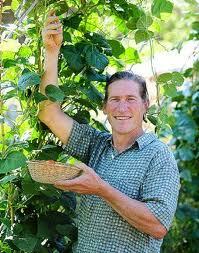 Permaculture projects exist all over the world and many need the help of PDC trained people. In the third-world, disaster and drought affected countries, permaculture is proving effective in rebuilding self sufficency and sustainablity in communities were the efforts of relief agencies and governments is only temporary. Global awareness of permaculture is spreading quickly through social media as people become affected by economic, social and environmental pressures. Permacuture suggests that these problems are all linked, and that we each need to develop a holisitc understanding about how to live as communities again. We’d encourage you to do your own research to find out more, and to attend a permaculture design course some day soon! Permaculture design courses are meant for everybody! Here is a link to the permaculture principles website. Here you can find great books, videos, and links to some of the best material available on the internet! Download a free copy of David Holmgren’s book, the essence of permaculture. This great little booklet captures a summary of the ethics and principles of permaculture as a summary of David’s larger text: Permaculture principles and pathways beyond sustainability. Download a free poster of the 12 principles of permaculture. PDC courses are not just for garden designers or community minded people, they’re meant for anyone who makes household and lifestyle decisions! 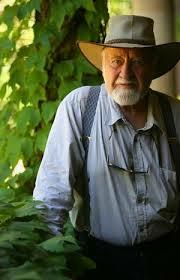 The permaculture community recognises every PDC course, as long as it covers Bill Mollison’s curriculum. Permaculture Design Courses (PDC’s) run regularly in a number of different formats all over NZ, Australia and elsewhere. The basic course course is usually 72 hours long. A great global database of permaculturalists, is www.permacultureglobal.com Here anyone can search for PDC qualified people, look at their qualifications, profiles and projects they’re in involved in. PDC qualified people can search for global projects and work opportunities. Our design guild page has more info on permaculture courses if you are interested. We create systems that cycle resources so there’s no such thing as waste. We learn how to make great compost and develop easy ways to do so specific for every garden . We creatively re-use materials onsite or put them to use in other people’s gardens. We spend energy on building systems that catch and store energy. That way we maximise the benefits of work. Wicking beds hold & store water for efficient use during summer drought periods. They only need watering about every 2 weeks! We choose to work together to help eachother to take advantage of the power of teamwork. We can easily build the most productive garden for everyone’s needs if we take turns to help eachother and return favours! In future we expect to be able to trade our surplus. We know that there is richness on the fringes and we use the edges of our gardens to maximum benefit. We use small and slow solutions too! We recognise that the most worthwhile things take slow and steady change. We’re involving our kids in positive social change because we believe they’ll pass this on in the future! We fully analyse the strengths and weaknesses of every site before we design. That way we can make the most of everything each garden has going for it! We use natural resources to our advantage. Chickens can cultivate vege beds, remove pests and add fertility if designed into our home garden system. We use diversity in our gardens to create ecological stability. Mixed plantings have less pests. We value and welcome everybody that joins us! Our number one priority is to strive for obtaining productive yields. Blitzed gardens produce tangible results!